This CNY, may you continue to HUAT HUAT HURRAY. Last year, market sentiment is very bad, from oil drop, US government shut down, Malaysia government change and a lot of policy changes affected the the Malaysia equity market in an overall manner. 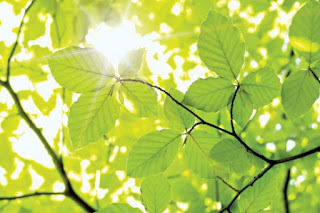 However, I believe that most of the investor and fund manager had took the trouble to do what is needed, review portfolio, take out what is bad, take in what is good and prospective. In human life, we always need to know how to move forward with what is good ahead, not carrying baggage around and only know how to frown. Do not frown anymore. Open your eyes and look what is good. If your portfolio is bad, trim it and look for a real good one. Study it, not simply close your eyes and buy. If you got no time to study, then make sure you can follow someone who is genuine, good and also can deliver with track record. Market got a lot of sifu. Some call themselves master sifu, some technical sifu, some Fundamental sifu, some singsong sifu, telegram sifu, whatsapps sifu and alot of many kind. I am not a sifu, but I just want to be your genuine brother that share valuable finding with you at no cost. No need to force you to believe me, but I had identify and shared out about Johotin when it is lowly 90 cents region. To date, RM 1.20. Then I also got talked about FLBhd in my own telegram group when it is RM 1.50 on November. Recently talked again on FLBHD at RM 1.64. To date, RM 1.78. Why the share go up when I share about it? This is because people know my sincerity and genuine intention of helping people. This year not much stock can talk about due to a lot of uncertainty, but when things are bad, opportunity will come. 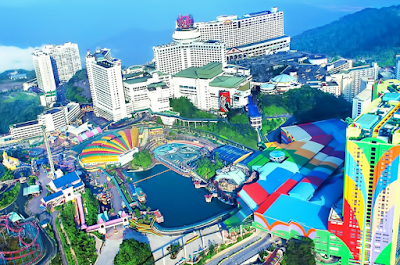 And this is the reason for me to introduce you a stock that can be very good in the future if you believe Genting Highland will continue to boom up with the expansion, upgrades and also improvement. I am not writing this to ask you invest into Genting or Genting Malaysia as both these 2 share need no introduction. I want to introduce the company associated closely with the development of Genting, especially in Genting Highland, Pahang. This share is called OWG - Only World Group. If this company is little known to you, then you will better check this company out before opportunity goes away soon. Before this, OWG had been trading in a very premium PE, and because of that, it is not attractive at all. However, the recent downwards market couple with the shocking pull out from Disney Fox ThemePark, the game change drastically into creating opportunity. Actually, OWG prospect with the GITP expansion is very good. That is the reason so many fund manager is buying into it. ETIQA got buy, EPF got buy, CIMB Small Cap also got. Even private investor that had placed 10% private placement did it at RM 1.00 range last year. But, investor had to know that these issues are not forever. Human will work for the better, improve and get better, which is the same for OWG businesses as well. The last straw of bad news took OWG lowest of 48 cents. But it had soon recovered back after smart investor start to see the opportunity. We are talking about Genting Highland, where SkyAvenue is so packed and suffocated because too many people. How can things go bad with this? Impossible at all. Now, 2nd opportunity is the theme park operation. Why OWG can benefit from there. Before the old genting themepark close down, actually OWG got operate some themepark machine and involved in decoration as well. Now Fox suddenly left, this create a vacuum and can be partly filled up by OWG because OWG is very well associated with Genting Highland development. 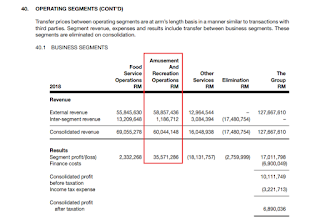 F&B margin probably can go 5 to 8% max, but amusement and recreational can go more than 50%. 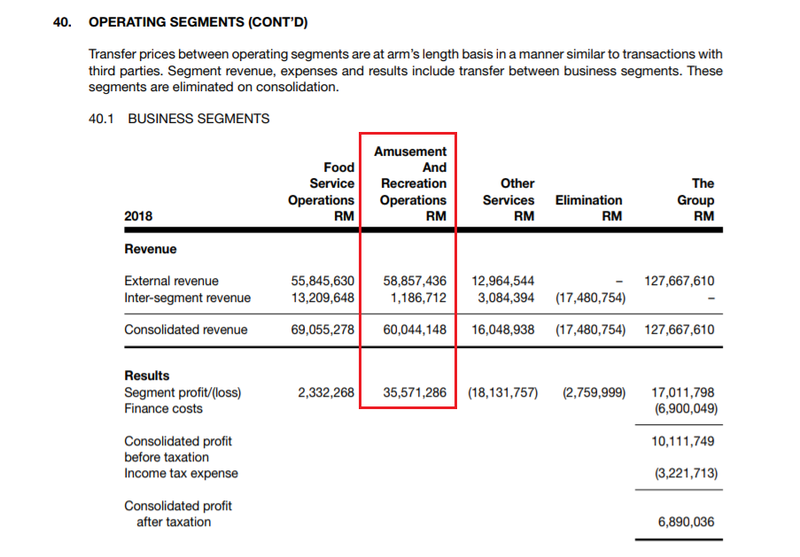 So can you imagine if OWG now have a bigger share in Genting Outdoor Themepark, what is your investing sense telling you to do now? Fox go out and give more seat to OWG to make profit. I am not asking you to invest 3 days to 3 months. Here is talking 1 year at least, until the outdoor theme park hit operational note (I expect around April/May 2019), and result can start reflecting end of 2019. But before that, the best thing you can do now is invest in OWG when it is still low and nobody look upon, especially just right after bad press from the public.